Like most of these games there’s a tutorial and there’s not much you can do early on, just dive in and spend all the oil/coins (low value currency) you can to get ahead early on. Losing, even in PVP, still awards experience and has little negative impact so don’t worry much especially early on. If you don’t have a ton of time to actively play, or just want to do other things while grinding, the Auto mode is super useful; just play on a slightly easier level and grind for XP/cards on auto. Like all of these games, there are daily missions to do that give rewards; if nothing else, it’s best to complete each of these daily missions before checking out for the day. If you just want to progress as fast as possible, you might want to stick to a single Fleet/Team to level up together. Your starting unit (Laffy/Z23/Javelin) is pretty good, as is anyone with a purple background. The game has a standard character rarity system; in ascending order of rarity/power the characters go White/Common, Blue/Rare, Purple/Elite, Gold/Super Rare. The rates for them in Gachapon are 30%/51%/12%/7% respectively. There may not be much time to reroll before the Neptunia event, but Super Rare is what you’re after if you’re rerolling; HMS Illustrious seems to be a very popular choice (certainly not because of her H cup, no no). You might also just want to reroll during the Neptunia event depending on how difficult it is to get everyone. Save up Wisdom Cubes for the Neptunia event; they’re the Gachapon currency of the game, and as always, it’s pretty limited. 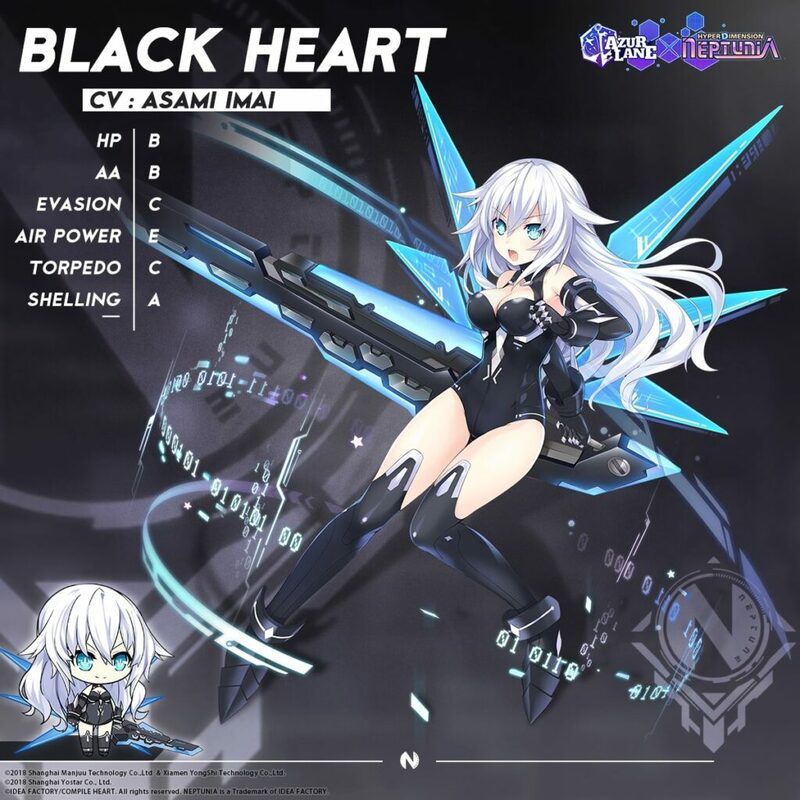 If you’re solely focused on getting the Neptunia girls Remember fighting story missions can drop ships (characters) in this game so it can be an alternative to the Gachapon. 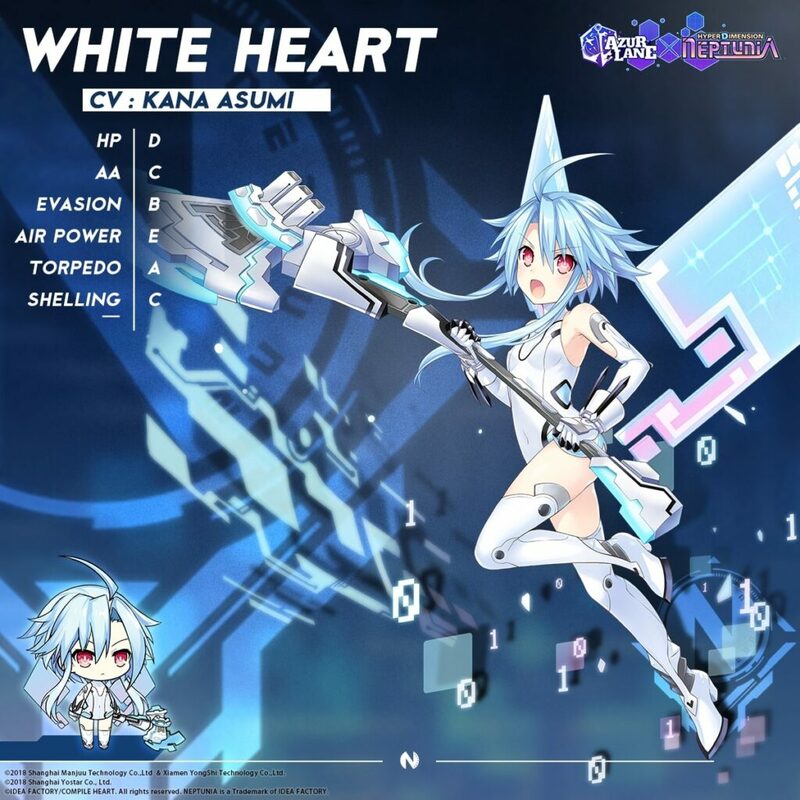 Similarly, save up Bulins to upgrade your girls; you’ll need 4 Universal Bulins to Max Star each Human CPU and 4 Prototype Bulin MkIIs to get maximum Limit Break on each HDD CPU. This is the game’s Fusion/Awakening mechanic similar to other games. Bulins can be used in lieu of duplicates. You may want to hold off on consuming Bulins until the end of the event in case you get extra dupes of character 1, causing one less Bulin to be used for character 2. Burn all the oil (stamina) you can early on, you’ll get more than you can store, so you might as well throw your forces at everything for the experience/drops. The game can be a bit excessive with it’s notifications, they can be disabled selectively in game with the Settings menu, or at an OS level. You’ll get lots of Common/White cards from playing normal stages; I like to keep and Limit Break one of each character and having lots of extra characters with a few levels on them is useful for Commissions. For lategame grinding, it’s often useful to bring just 2-4 ships to save on oil. It’s recommended by some to hold off on Limit Breaking units until they hit level cap, to save on Oil. Setting a character as “secretary” will help boost their Affinity up to about 80-90. The last bit must be done in battle, so it’s a good boost to new units. Affinity gives a percentage boost to stats (tap where it saves love/crush/stranger). There will be an Event Gachapon menu once the event starts where Wisdom Cubes can be used to summon ships, including the Neptunia girls. The Human forms are Elite (standard rate 12%) and the HDD forms are Super Rare (standard rate 7%). Both weeks have different rate up odds, so spread out your pulls for the best odds for specific characters. You can get the non-boostedother characters off the banner either week, but at much lower rates. 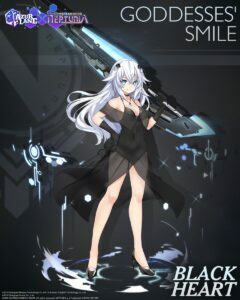 Note Neptune and Vert aren’t in the gacha, obtain them via the methods below. 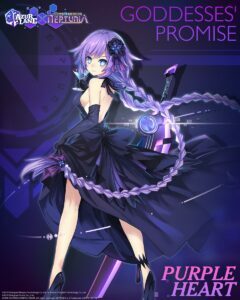 Neptune will be given out as a login reward to all players level 15 or above once the event starts (or after as long as you hit 15 during the event). If you play the game even casually this will be an easy reward to get. Neptune does not appear in the gachapon, so you can/must use Universal Bulins to Limit Break her. 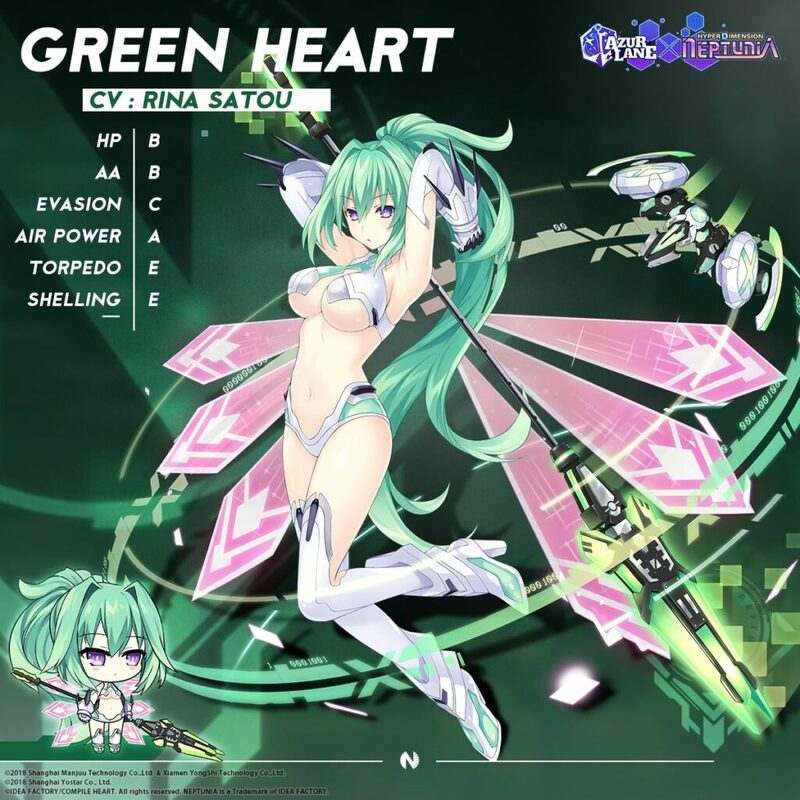 There are 7 missions (completable over 14 days), upon completing the final one you will get Vert. 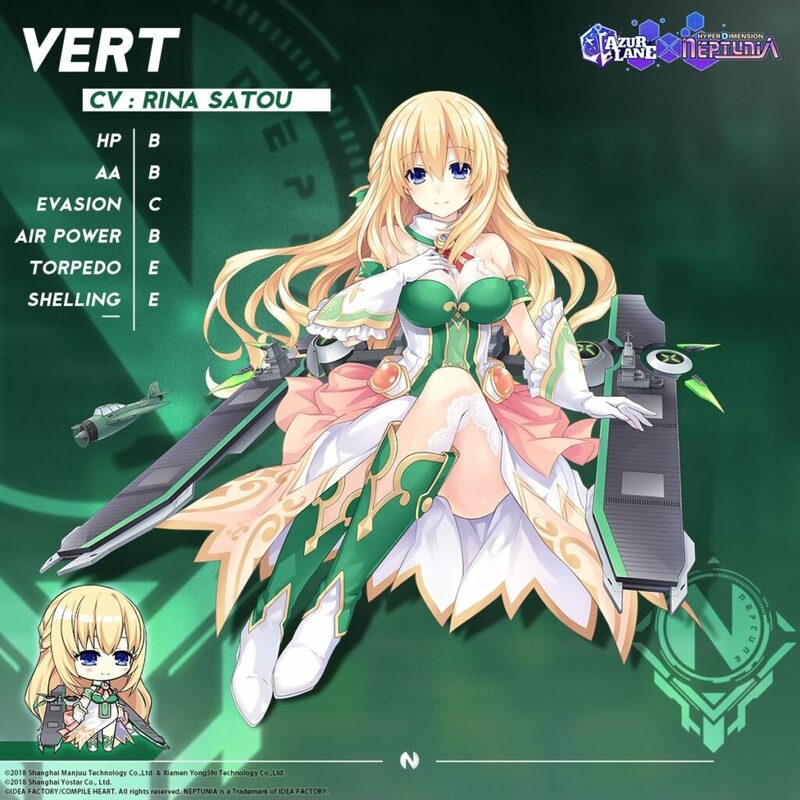 Like Neptune, Vert is not in the gachapon, so it’s safe to use Universal Bulins to upgrade her to max stars. You have to go to the Academy map and tap on the (!!) 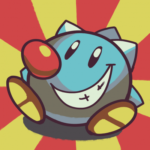 icon to get each new mission after completing one, or to get the first one. Events in the game require you to view cutscenes in the Academy tab first, then they will appear in your Missions tab. Level 90+ required, 1200 total Aviation required. I don’t have all the info for these as I don’t play the import versions, if anyone has more info please let me know and I’ll update, otherwise I’ll update as I find the info from official sources. 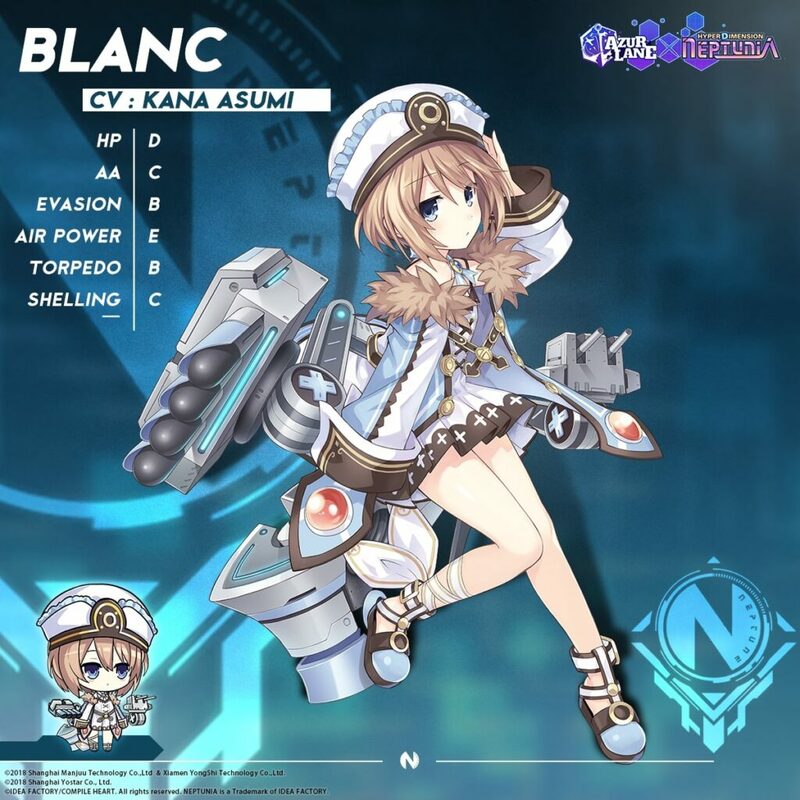 In Azur Lane characters fit in slots based on which class of ship they are. 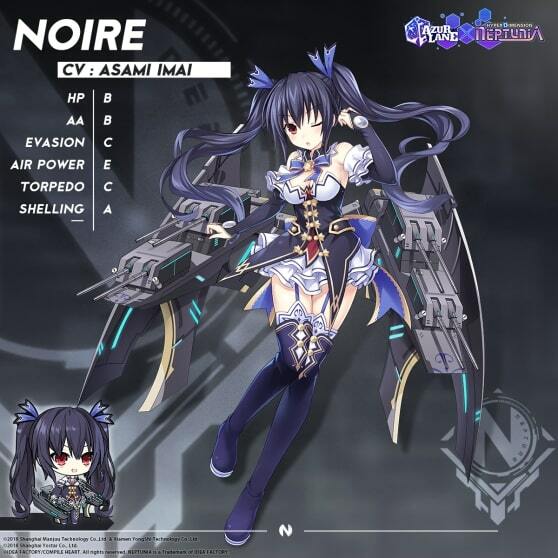 The Neptunia girls are half Vanguard ships (frontline, controlled directly) and half Main Fleet ships (rear line, provide supporting fire and must be protected). Obtain: Login reward, requires level 15. Not in gachapon. Obtain: Complete 7 daily event missions (it’s easy, just can’t get her early is all). Not in gachapon. If your goal is to get all the skins in a timely manner, the best way is to take an overpowered team of as few as possible ships (ideally 2) and repeatedly clear levels that they can defeat with ease, and rush for the flag ship without beating any extra fleets. This uses the least oil (more ships = more oil per fight) and only the flagship drops the item. 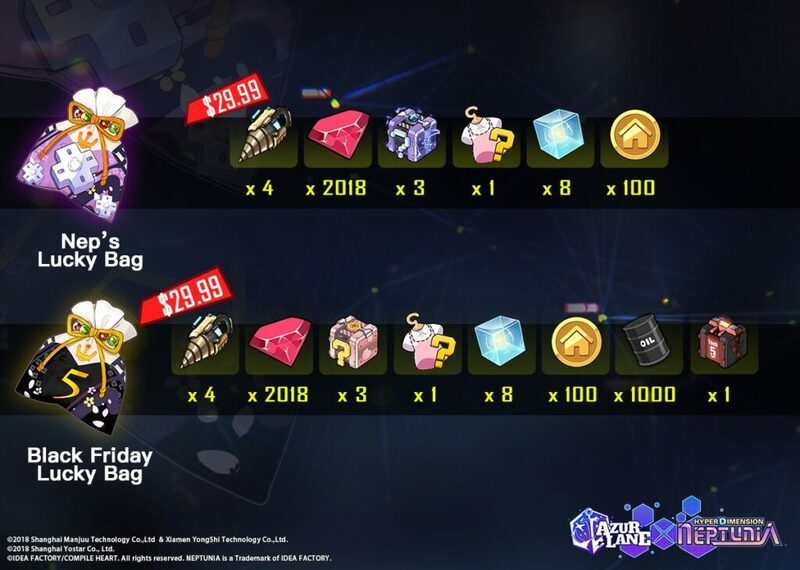 The Nep’s Lucky Bag and Black Friday Lucky Bag were added to Azur Lane; either one will give a random Neptunia Goddess Form skin (and an 80% refund in gems should you get a duplicate). 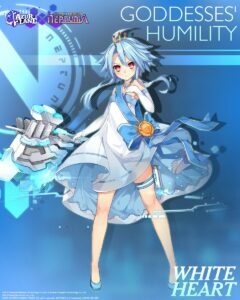 It’s possible to buy all three goddess form skins with the gems from this, the skin acquired, plus just a few extra gems of your own. Note that obtaining a skin does NOT give you the character! You will be unable to use the skin until/if you pull the character normally in the gachapon. 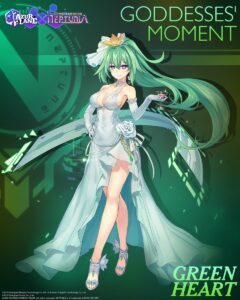 The Goddess Forms (Super Rare characters) have special gem-only skins in Azur Lane, which cost 880 gems by default (~$14 worth of gems) each. Skins are cosmetic only. They are 20% off (704 gems) for the first week, until the 28th. Here’s what the skins look like. They’re in the Shop > Skins menu. 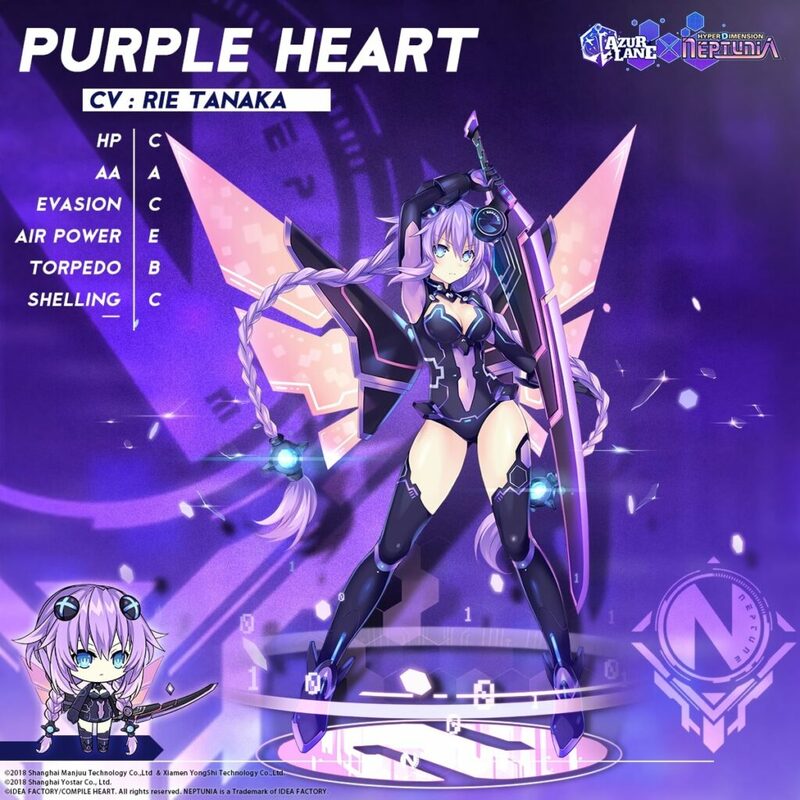 You can buy Dorm Decorations during the event with various Neptunia-themed items. They can be bought with Decor Tokens (preferred) or gems. Like the rest of the event, there’s only 2 weeks to buy these, so save your decor tokens for them. Note there are a few gem-only ones not in the “theme” list, find them in the Furniture tab. My livestream of the Azur Lane x Neptunia event. 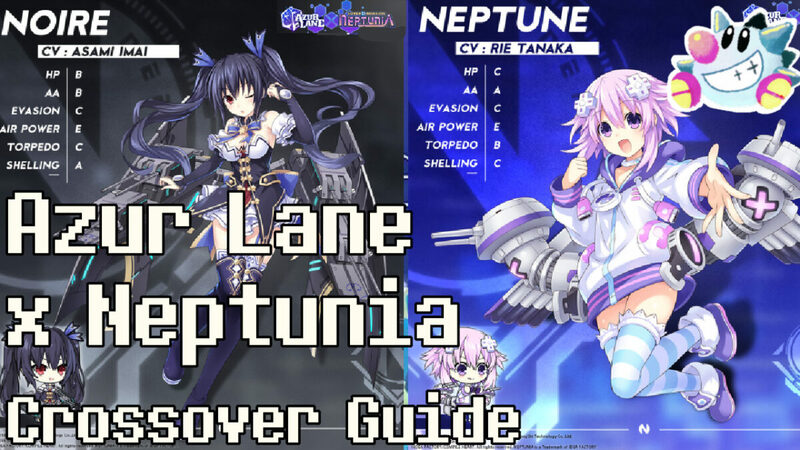 Playlist of my Neptunia videos on YouTube. 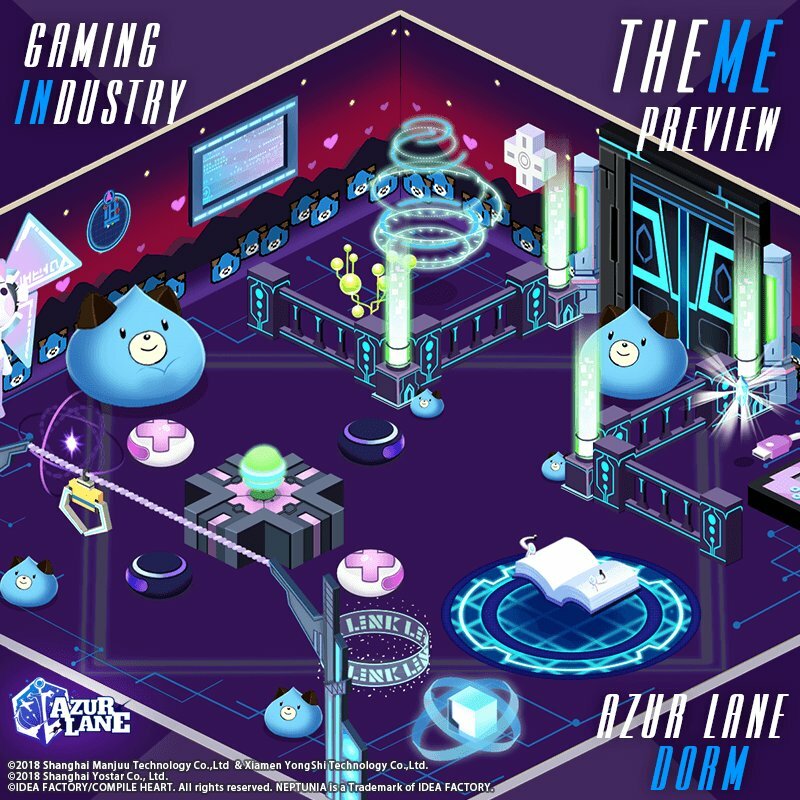 Other Neptunia series guides on this site. There’s also a sale on Humble Bundle (affiliate link) and Steam for ~80% off the Neptunia franchise games. 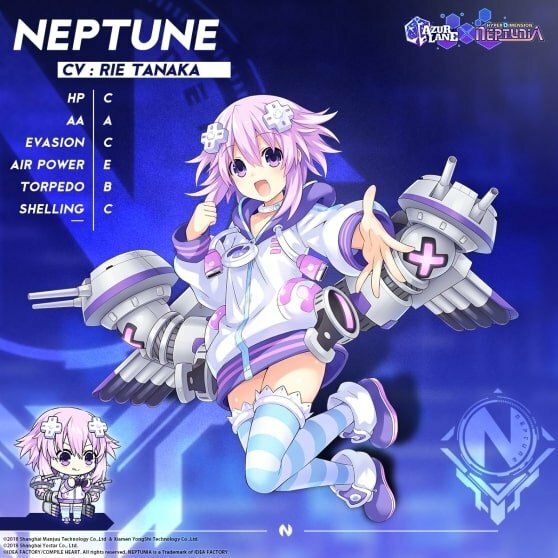 If you’re somehow new to the series, I would start with either Rebirth 1 (the “start” of the game but remade) or Neptunia V2 (the easiest to get into). More info on which games are which here.